Prejudice, segregation and alcoholism don't sound like prime fodder for a heartwarming road movie, but Green Book makes them work. This story of an unlikely friendship isn't particularly subtle, but it has plenty of humour and heart, and Mortensen and Ali acquit themselves admirably. 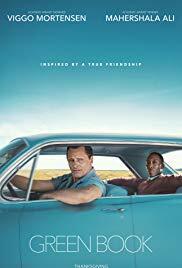 While some of the darker plot points seem somewhat glossed over, overall Green Book's light hand with a heavy subject results in a crowd pleaser that's definitely worth seeing.